Emerald cut lovers will delight in this exclusive Cinora Collection fancy diamond necklace. 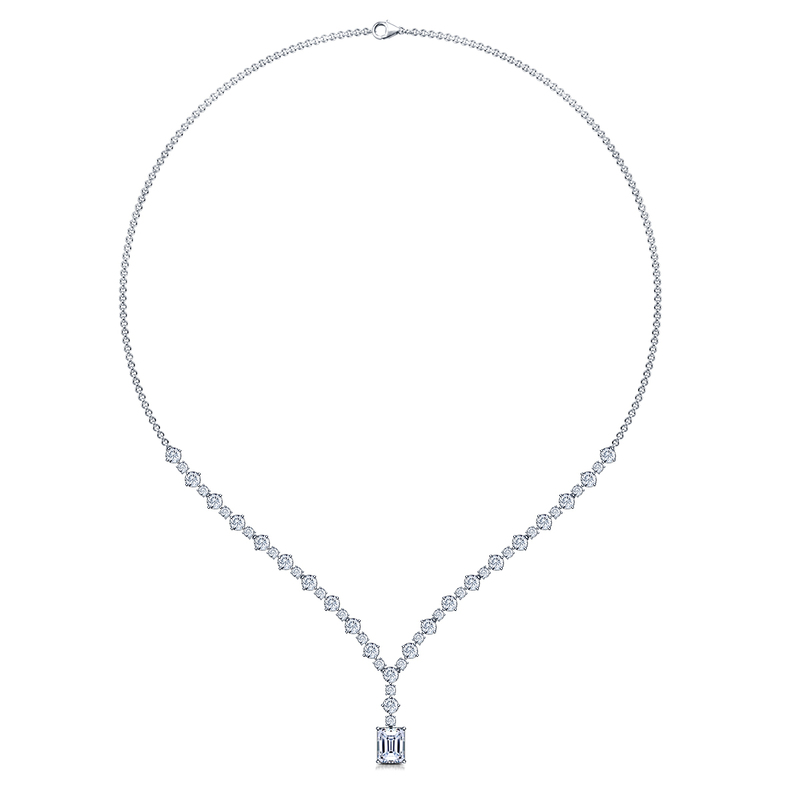 Sophisticated and classic, a stunning emerald cut diamonds draws the eye to the drop pendant, while the stunning V - shape half features alternately placed larger and smaller rounds diamonds for extra dimension. A cable chain completes the design. Minimum Carat Weight(ct. tw.) : 6.00 cttw. The Cinora line of Necklaces are custom designed based on your choice of center diamond and personal preferences. Submit a quote request and one of our designers will reach out to you with a custom quote based on your exact requirements.